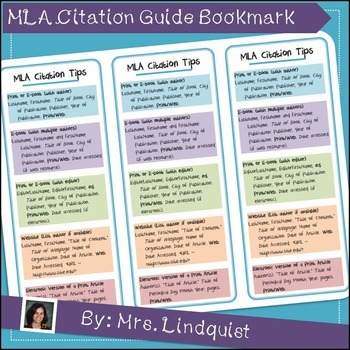 Use these colorful bookmarks to help your students remember the basics to MLA Citation. Includes a color version and black & white version for ease of printing. Print them out on cardstock and laminate for longer lasting bookmarks! 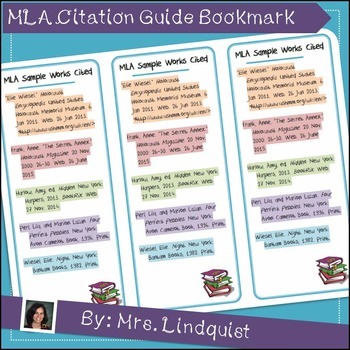 This bookmark pairs great with "Bibliography Guide for Research Writing." Check it out!